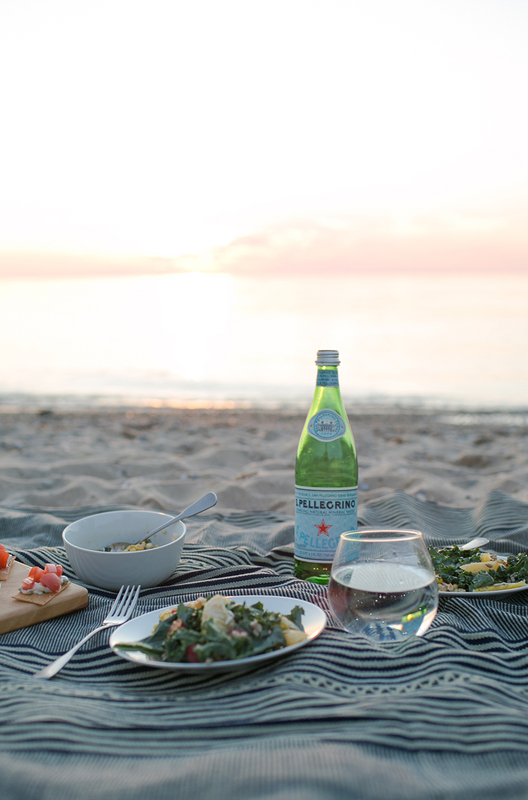 Summer is all about al fresco dining. Even on the hottest of days I am always choosing an outdoor dining option. 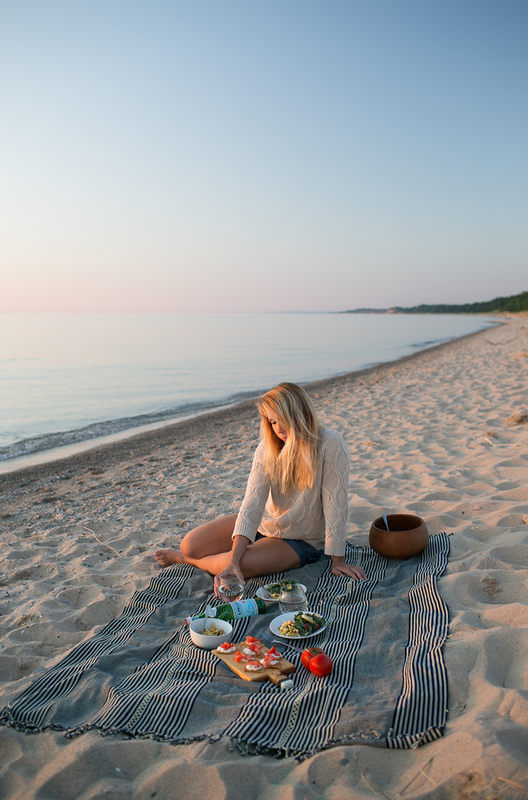 Up in Northern Michigan, there is nothing better than making the effort to head to the shoreline to eat a late dinner and watch the sunset at 9 pm. 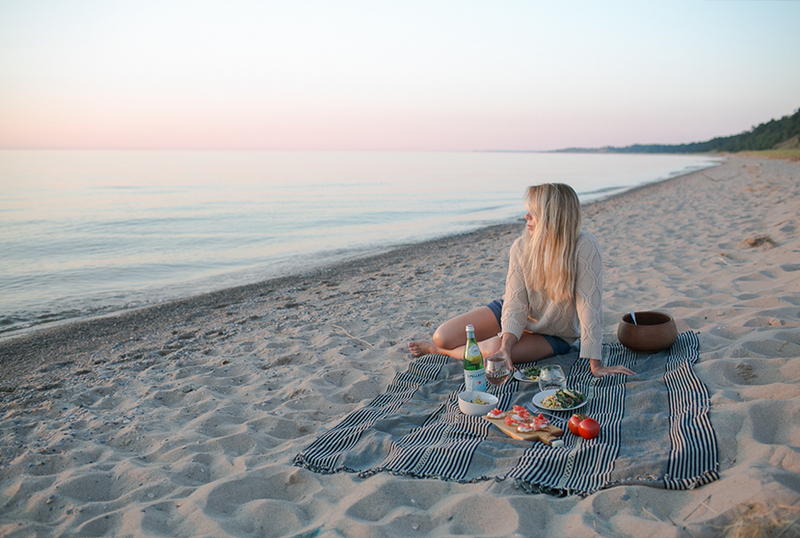 As you sit and enjoy watching the sun slowly meet the horizon of the lake, your soundtrack for dinner is the best soundtrack you could ask for; the lapping of the water on the shore. 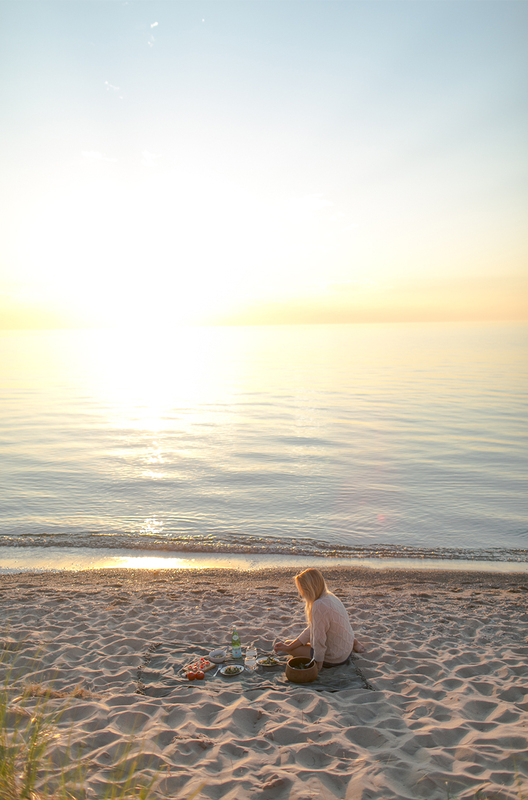 Watching the sunset and enjoying dinner is a special ritual we do as often as possible while in Michigan. Because of that I wanted to make it easy for you to recreate a similar moment for yourself with people you love. 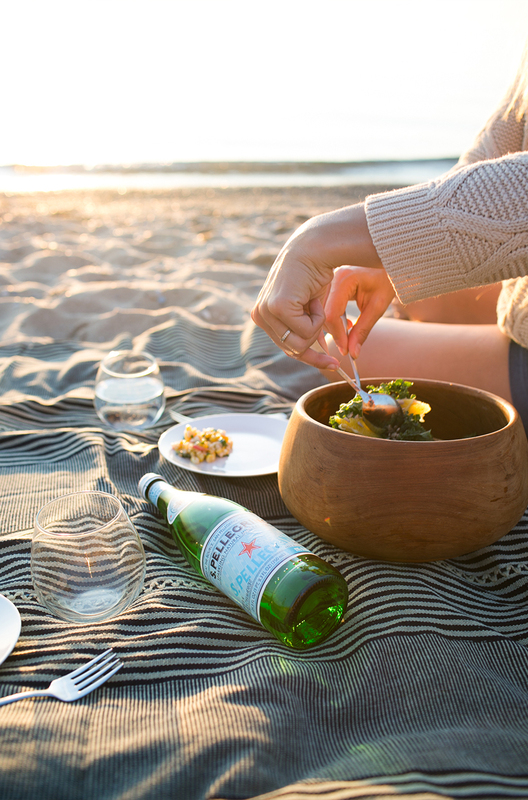 We partnered with S.Pellegrino to share three simple and “toteable” recipes to have at the beach. 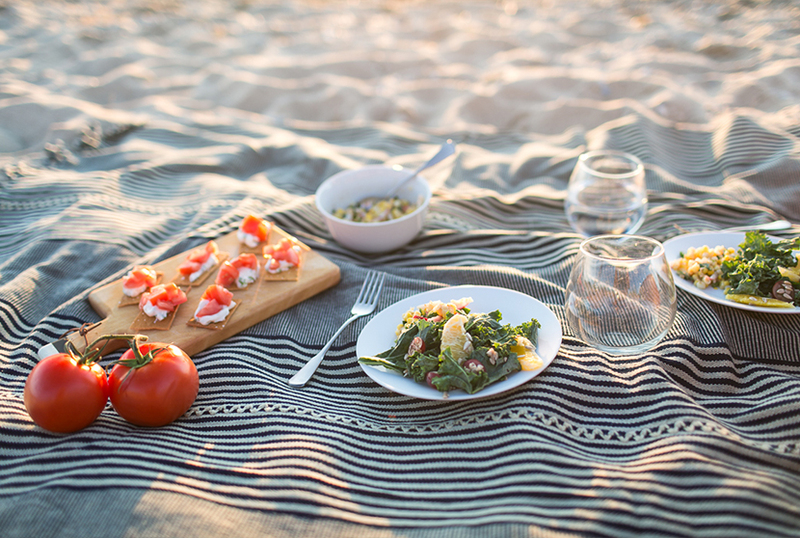 I have also given you a list of necessities to make this just as beautiful as the dinner we had the opportunity to enjoy for this shoot. We even created a short video that captures our dinner and the sounds of the lake that evening. Creating moments like this may be daunting, but I want to empower all of you feel that you can create moments like this and feel they aren’t so scary and maybe even easy to create yourself. I love knowing that we helped you create a special moment because of the tips we shared to make it easier for you. That is why I am so excited for this post. To make: Toss all ingredients together. It’s that easy! To make: Place room temperature goat cheese, olive oil, salt and chives into a blender and whip it all up together. Spread onto bread or crackers. Chunk fresh tomatoes and top. I put these together on the beach. 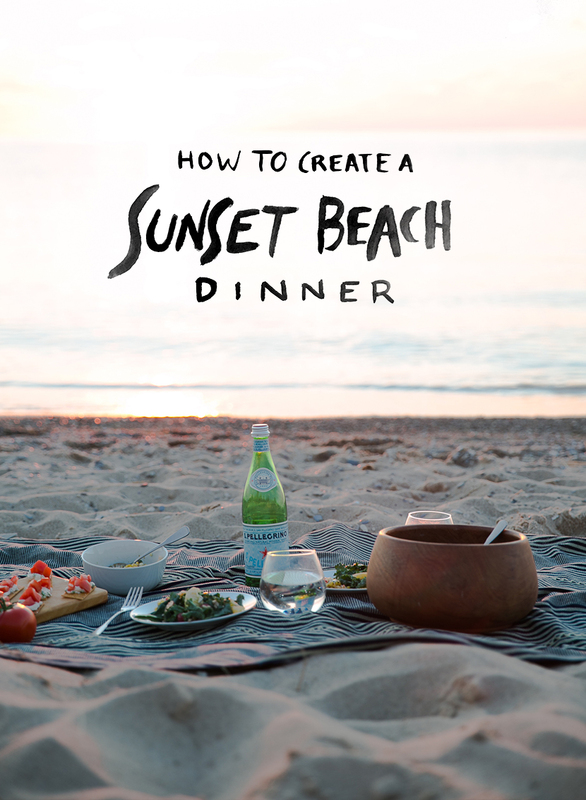 To make: Toss all ingredients together and place it in a container to come with you down to the beach. It should take you about 45 minutes to prep all of the food to take with you. 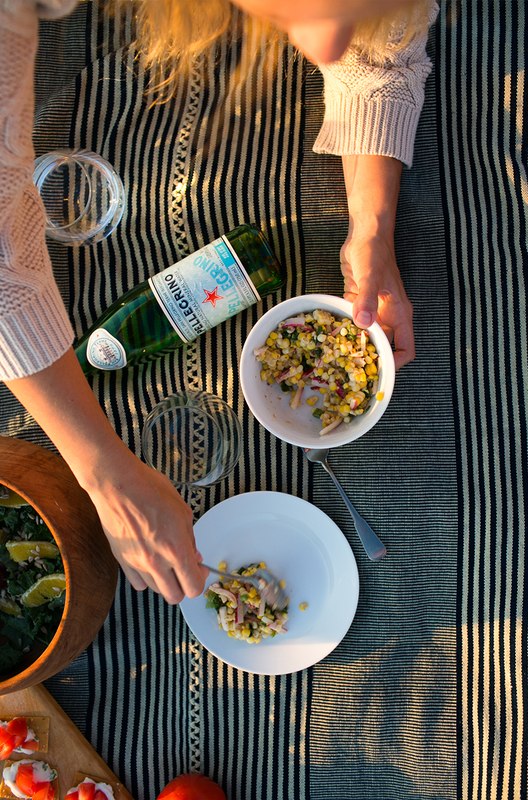 Pack up the food, your S.Pellegrino, and the other items I suggested to gather to create a beautiful your al fresco dining experience. 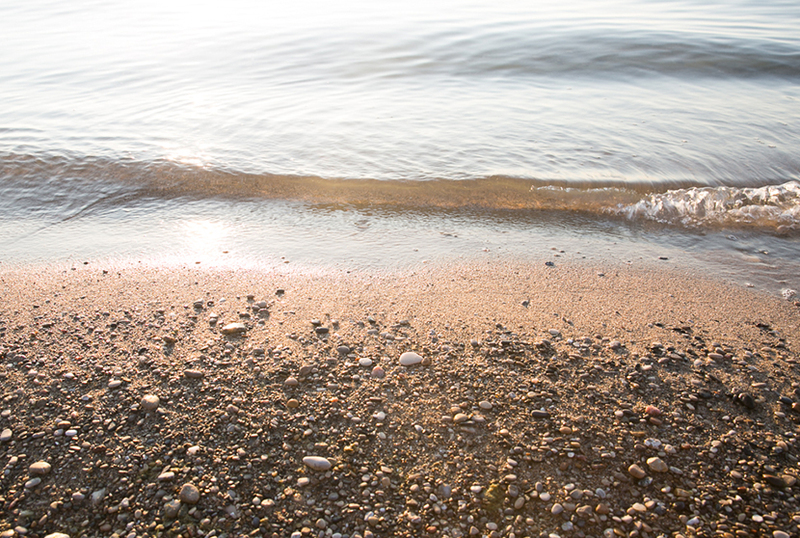 Drive to a beach that has easy access, so you don’t have to lug things too far. Now, you can setup the dinner and in less than 10 minutes you will be ready to enjoy a drink and gobble up all that yummy food. I love being purposeful about creating these type of moments. Life can slip away very easily if we don’t make a point to find time for these moments. I felt that last summer a lot being very busy with work, but this year it has been good to be intentional about enjoying things with more purpose. It takes a little work, but the pay off of having such a great moment with someone you love and not to mention the awesome Instagram you get to capture is well worth it. 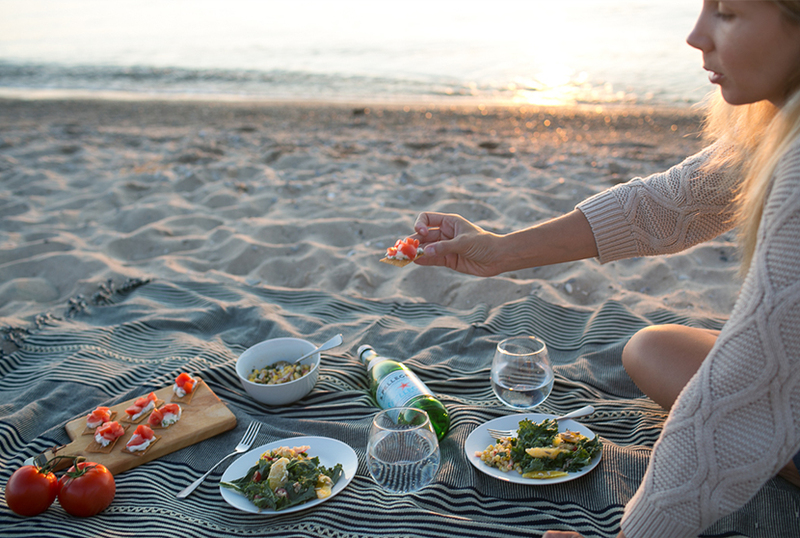 Summer, even in all it’s heat can be a season that is easy to let slip away, but choosing to make simple moments happen can make for beautiful memories and even traditions down the road. Don’t miss that opportunity this season to create time for the simple and beautiful parts of this season. 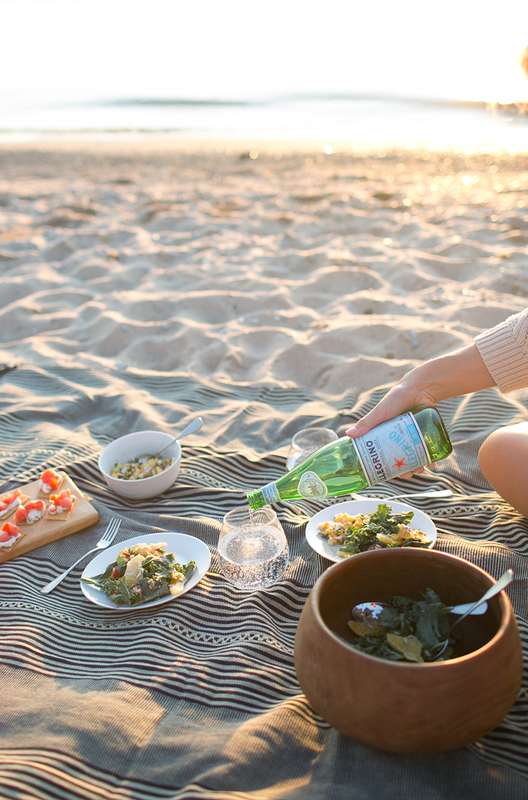 If you have a chance to find yourself enjoying a moment similar to this one this summer, please share it with us! We love seeing you using our tips to help you live a more intentionally beautiful life. It means a lot to hear from you! Have a wonderful week, my friends. 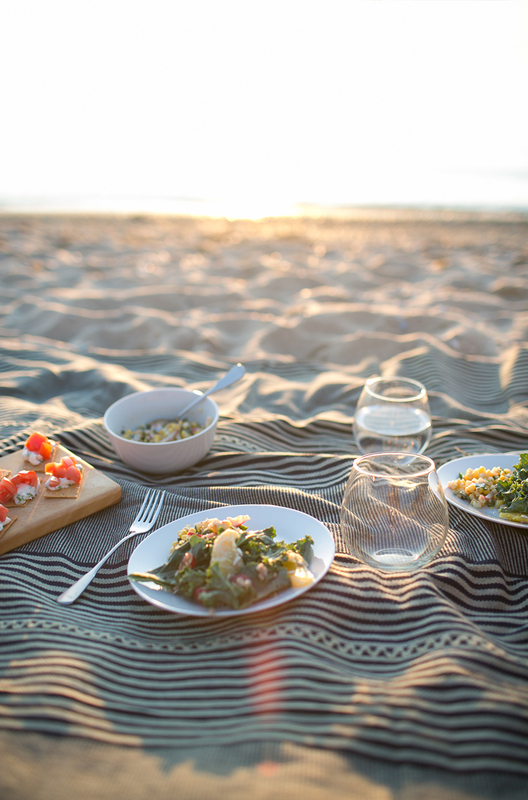 I hope you are taking in summer thoroughly whether it is a few weekend trips here or there, a week-long family vacation, or weaving in summer wherever you can find the time. 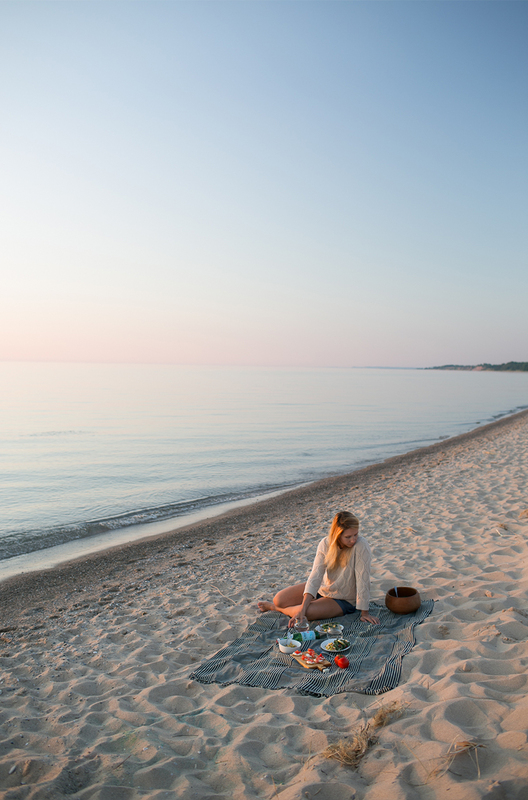 where is this beach in michigan?? ?